As a tech startup, we’re always talking about the latest and greatest apps, gadgets, and companies. Whether you're in a tech career or not, you should still take a few minutes every week to stay updated on the newest technology in your space. Another bonus? Following tech blogs gives you a steady stream of great ideas that may serve as inspiration for your next million-dollar project. Keep in mind, the closer you are to innovation the more innovative you become! Startup Battlefield - There is nothing more exciting than watching new companies and their technology compete in front of thousands of people. As finalists in the New York 2015 edition, one thing we learned is the importance of simplifying complex ideas and differentiating yourself from your competitors. Recode is known for having some of the most informed and respected journalists in technology and media. It’s a great source for independent tech news, reviews and analysis. The Future of Work - Recode does a great job at covering one of the hottest topics in tech: "how new technology is affecting our current and upcoming job market". The Massachusetts Institute of Technology (MIT) is one of the top Universities for STEM careers (Science, Technology, Engineering and Math). The scientific approach used on the Technology Review blog is one of the best unbiased resources online to understand a world shaped by technology. 10 Breakthrough Technologies - You can expect accurate predictions about the top technologies that will impact our future. Some are currently available, some are down the road. Either way, these technologies are changing the world we live in, so you check them out. 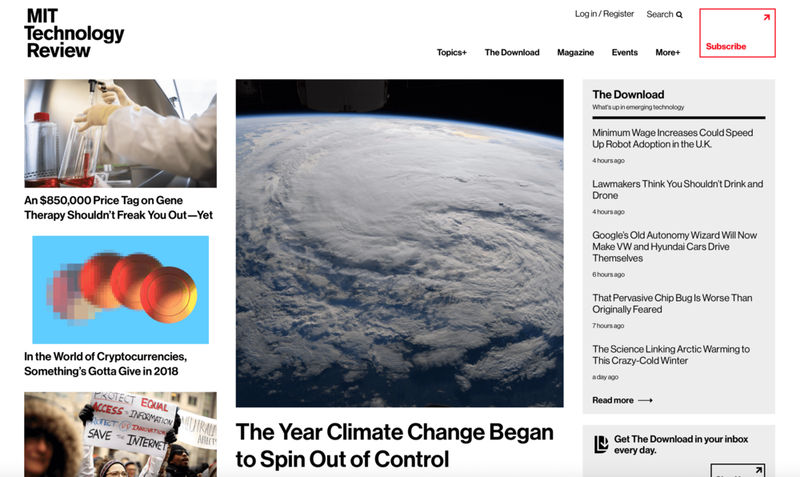 Wired is a very popular online resource that focuses on how emerging technologies affect human culture, the economy, and politics. Their modern and trendy style have made them a big hit amongst millennials. Youtube Channel - Theses videos are have great production value and often showcase celebrities and well-known industry leaders. Learning while being entertained. 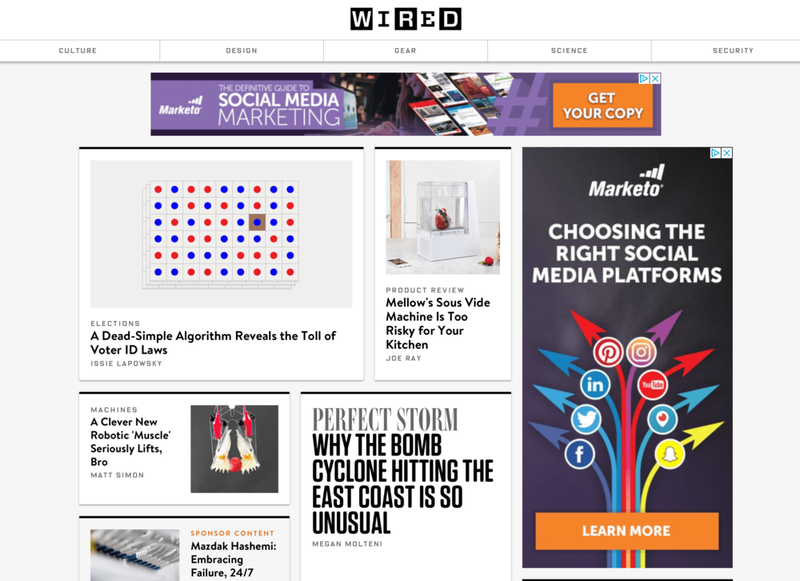 Well done Wired! Fast Company is a leading progressive business media brand, with a unique editorial focus on innovation in technology, leadership, and design. Written for dynamic business leaders, Fast Company inspires readers to think beyond traditional boundaries to create the future of business. Newsletters - We wish more companies would do this! Completely customize your newsletter so that you only get what you want, when you want. Brilliant. The Next Web (TNW) is the largest Canadian resource covering business, technology and the Web. Originally launched as a conference, TNW quickly turned into a very popular blog that brings insight, meaning (and humour) to the world of technology. Full Stack - Start exploring how new technologies are affecting the tools and processes we use everyday. Don’t be left using a hammer when your competitors started using nail guns. Usability Geek is an amazing blog that focuses on everything related to Usability and User Experience (UX). Their scientific approach helps take the guesswork out of your next design project. Whether you’re looking to build an app, website, or something else tech related, Usability Geek is a great place to learn about design best practices. Our favorite:Conversion - You won't have to look far for everything you need to master conversion rate optimization. Amazing tips and tricks driving immediate results to your bottom line. 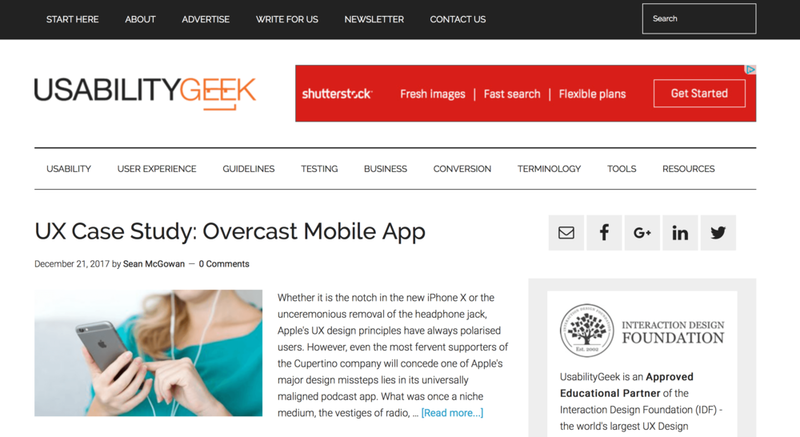 If you ask your tech savvy friend: “What's your favorite tech blog?” Chances are Gizmodo makes their short list. With tons of relevant posts, and some of the funniest commenters on the Internet, Gizmodo’s youthful vibe is simply one-of-a-kind. Video - Gizmodo has an amazing collection of short videos to satisfy all of your tech needs. From product reviews to “best” and “worst” of, Gizmodo’s entertainment value deserves a 10/10. Are you a designer? Do you enjoy beautiful designs? Do you work for a design oriented company? If you answered yes to any of these questions, CreativeBloq is for you. Give your creative muscles their daily workout with fresh thinking, design tips and tutorials from the pros at CreativeBloq. Web Design - As a website builder, we can’t say enough about the importance of being unique and standing out online. 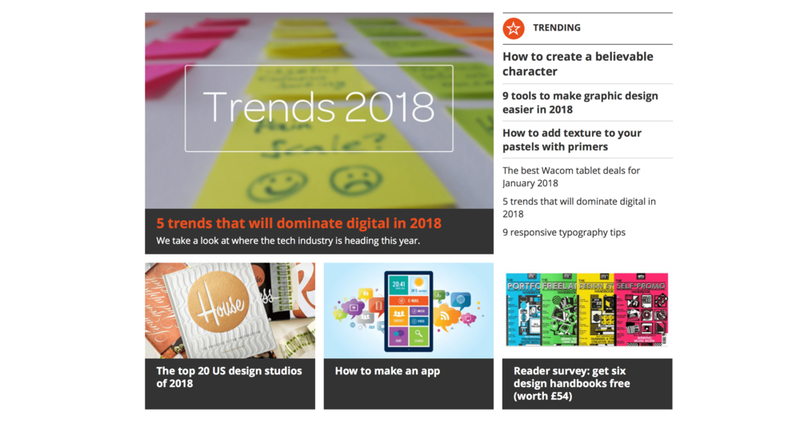 CreativeBloq’s “website design” is an inspiring resource where you’ll find helpful tips and tricks to keep up with the most current design trends. If you’ve ever looked up reviews for laptops, tablets or other tech hardware, you’ve probably already read a CNET review. On top of their amazing reviews, CNET also offers “News”, “Videos”, “How To’s” and more. Reviews - As the world’s leader in tech product reviews, CNET should always be your first stop when considering the purchase of any new gadget. Are you a perfectionist? Always trying to improve your productivity? Lifehacker is for you. It’s an amazing resource full of tips and tricks to become more effective at work, as well as in your personal life. Get immediate results by applying some simple hacks offered by industry experts. App directory - With new apps coming out everyday, it’s hard to figure out which ones you should consider, and how to cut through all the noise. Lifehacker’s app directory takes a look at only the best apps, their benefits, and how each one could improve your life! 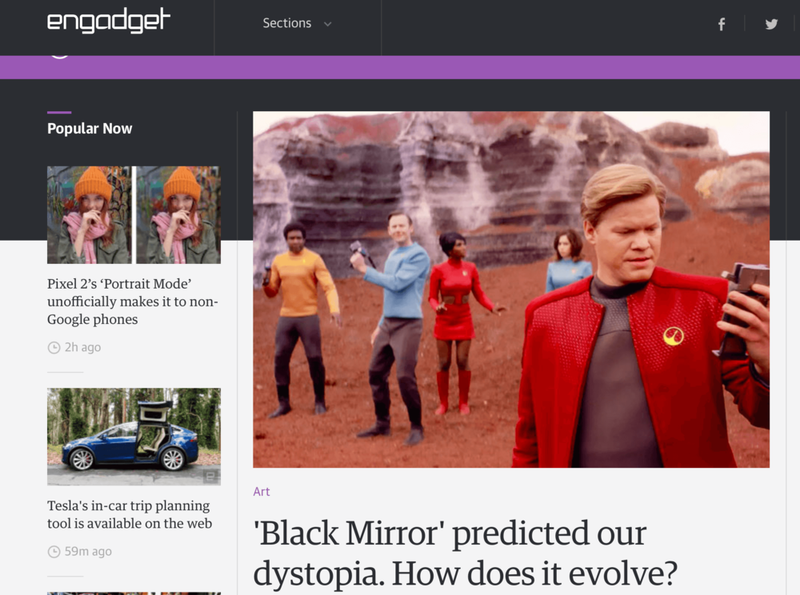 Engadget is one of the original sources for technology news and reviews. Since being founded in 2004, Engadget has expanded into a global organization producing content on technology, gaming, and entertainment. With millions of followers on social media, they are definitely one of the most popular tech blogs in the world. Tomorrow - If you learning about the newest never-before-seen tech, Engadget’s Tomorrow is for you. Stay up to date with AI, VR, Machine Learning and other technologies shaping the world of tomorrow. 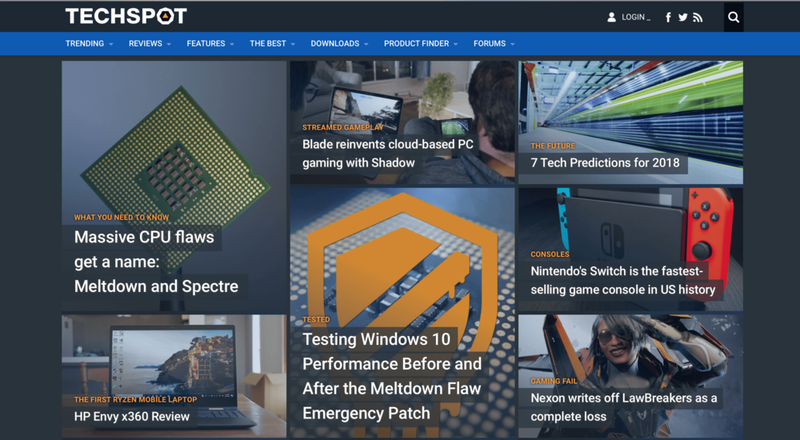 TechSpot is a daily computer and technology publication geared for power users, tech enthusiasts, IT decision makers and gamers alike. First established in 1998, TechSpot is now read by over 6 million readers every month, and is a must for anyone who considers themselves a tech junky. Culture - TechSpot’s Culture takes a look beyond the hardware and software to see how new technology is changing our society. A great eye-opener that will inspire great ideas and discussions. 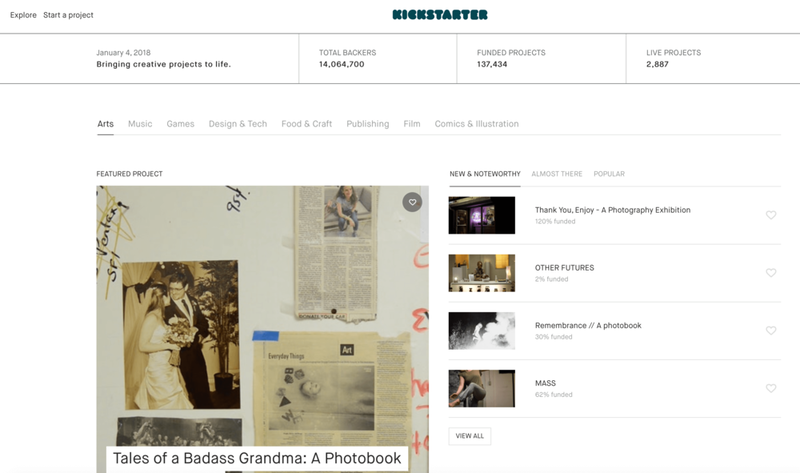 As the leading crowdfunding platform, Kickstarter has funded hundreds of thousands of creative projects around the world. Additionally, Kickstarter offers several amazing newsletters that can serve as inspiration for your next big project or idea. If you’re looking to get close to innovation, look no further than the creative community at Kickstarter. Technology - Projects We Love - Kickstarter’s user friendly search functions allow you to pinpoint projects that would be of most interest to you. Have you heard of G2 Crowd? As a peer-to-peer review platform for business software, they are experts when it comes to everything business and tech related. Having recently updated their blog, G2 Crowd's expert bloggers are focused on delivering top quality content covering a wide range of business topics. Actionable content - Almost every article on the blog has actionable takeaways! Ie: "How to write a press release" is converting their readers into PR specialists. Ok, maybe a slight exaggeration, but you get the point!